Ready For Some Rhubarb Pie? Get your rolling pins out. It’s pie time! While shopping this week, some delicious rhubarb caught my eye. I couldn’t resist. So here goes… a scrumptious, rhubarb loaded pie. Make the dough and leave to chill for about 30 minutes. Preheat the oven at 180°C/ 356 °F. For the filling, chop up the rhubarb in about 1 cm wide chunks. Mix the rhubarb, sugar, cinnamon and vanilla flavouring together. Grease your pie dish. Split the dough in half (base and lid of pie) roll it out and lay into your dish. Prick the base and cover it with the ground almonds. Fill it with the mixture and place the dough lid on top. Brush with egg yolk and bake for about 40 minutes in the bottom half of your oven. When done, leave to cool down. Before serving, sprinkle it with icing sugar. To serve, you could try ice cream, whipped cream, cream cheese or simply on it’s own. I don’t believe I’ve had Rhubarb-only pie. Typically it’s Strawberry-Rhubarb. We’ll try this recipe! Thanks! Looks delicious – as always. 😊 We’re attempting to grow some rhubarb again this year, but it will never be as good as the patch in my dad’s garden! It’s already 3ft high and 5 or 6ft wide with leaves as big as umbrellas! One of the best pies ever! Lovely photos… my grandmother used to make this, so I had to click to view your recipe. 💕looks wonderful! Absolutely beautiful presentation. Your photographs are stunningly presented. Will try one but with different combination as not sure if I get rhubarb here..but indeed its look good…love for baking…actually yesterday only i baked simple cake for my twin daughters and they just loved it which make it worth. What a gorgeous pie!! 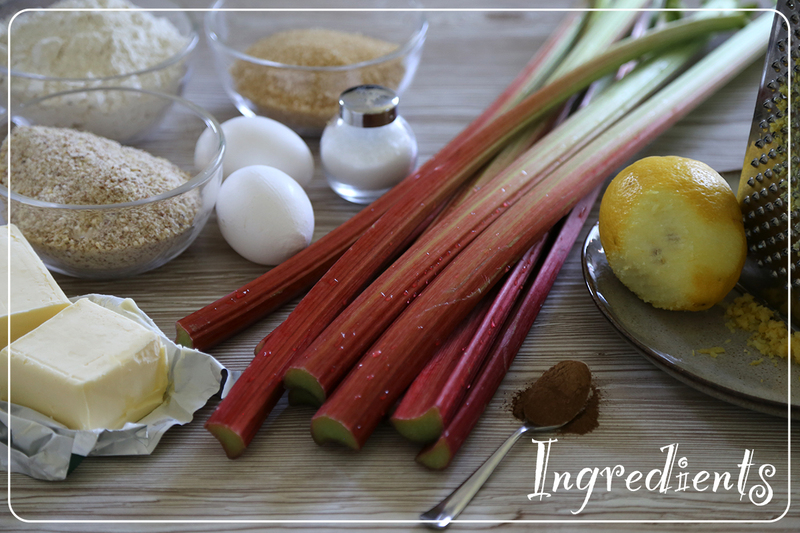 We overflow with rhubarb every year, so this will be a great new recipe to try. Thanks for sharing! Such a wonderful looking pie and a beautiful post. Thanks! Yes, so ready for this….Lovely! Rhubarb pie is awesome, thanks for the recipe! Your welcome, thanks for dropping by. This pie looks great! I’ve never made a rhubarb only pie but your recipe really makes me want to try! Thank you, and really yummy too! I’m very jealous!! I think I’m going to plant some rhubarb next year too. Maybe you will be interested in my recipe for Green Matcha muffins with raspberries? This pie looks absolutely delicious!!! Rhubarb yes! Just a few weeks ago I was looking for a recipe with rhubarb! This looks delicious! Definitely to try it! Thank you. I love rhubarb pie. It remembers me my childhood when my grandmother used to prepare them in summer. This recipe looks really great. Thank you for liking my pea salad post! You have beautiful photos and love the idea of lemon zest in the pie crust. Your welcome and thank you for dropping by! YUM! Thanks for sharing your recipe! Looking forward to trying the pie dough with some lemon zest! What a neat idea! Looks delicious! Definitely bookmarking this recipe. Thank you and thanks for dropping by! Next PostBarbecue Tips: Barbecuing with Kids & Gadgets!